Focused on highlighting the iconic history of 924 Gilman St. in Berkeley, California, the compilation features up-and-coming bands that are still part of this rich community. The initial idea for the project was formed by East Bay punk band, Sarchasm. Working with Asian Man, they brought the idea up to founder, Mike Park, who was excited to help bring the idea to life. 924 Gilman St. is essentially a punk collective based out of the East bay of San Francisco, California. Originally founded in the mid 80’s, the space served as a platform for many influential punk groups including bands like Green Day, Rancid, and Operation Ivy. Practically a DIY sanctuary, putting on all ages shows, the venue’s: “no drugs, no alcohol, no violence, no homophobia, sexism, or racism” policies have created a skeleton of what safe spaces should look like. Cheap membership fees and meetings help keep the collective afloat, and allow the space to be ran by and for members of the community. Mike Park shared some of his earliest memories. 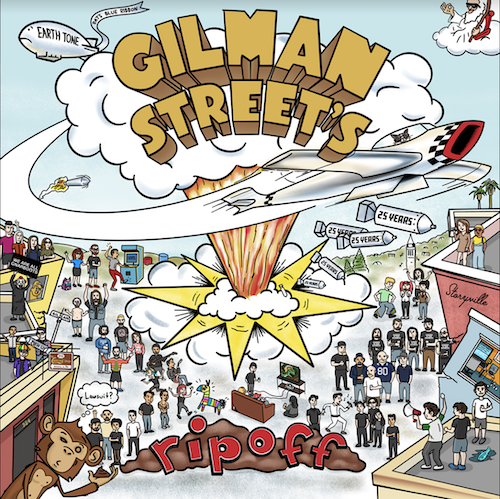 The Gilman Streets compilation aims to celebrate the rich history of 924 Gilman St. and one of the most influential bands that was fostered by this prestigious collective. Park said, “Most compilations are chock full of name bands. This comp. was intentionally chock full of no name bands.” Created specifically to highlight the importance of cultivating these important spaces, the compilation is a true testament of the current East Bay scene. Watch Get Married’s nostalgic cover of “Coming Clean” now or pre-order the album through Asian Man Records.